"Blog Hop Party with Give-Aways"
I will be giving away the pattern "Desert Rose"
To be in the drawing, leave a comment about your favorite fabric store and where it is. For an extra chance in the drawing become a follower and come back and let me know. This giveaway will be open until Dec. 9 - Dec. 15. Then we’ll choose a winner. This giveaway is open to world wide. Yippy, skippy! I'm first! My favorite fabric store is Material Girl in Grand Island, NE. The pattern is beautiful. The link to the party page is broken, please fix. Email me if you need help. I frequently order fabrics online and my go to favorite is the Fat Quarter Shop in Manchaca, TX. For me the Fat Quarter is right at my finger tips in my very own home. My favorite fabric store is Quilter's Stash in Windsor, CO. It is close to where my daughter lives, they have a nice selection, friendly people, and best of all, they give 10% off your total order if you travel over 100 miles. I definitely qualify when I travel from Roanoke, VA to CO! Beautiful pattern! My favorite fabric store is Gruber's in St. Cloud, MN. The Cosmic Cow in Lincoln, NE has been my favoite quilt shop over the years, but because of a move, I have been on the hunt for a new "favorite" shop. This last weekend I found one that looks like it will become a new favorite: Expressions in Threads in LeClaire, IA. I really like the quiltsandwich store on Etsy! I am a follower with Google FC and Google Reader and also receive entries by email. My favorite fabric store is called West Side Sewing in Cedar Rapids, Iowa. They have wonderful, quality fabrics and their staff and service is outstanding!! Favorite store is right here in our town. Prairie Stitches. I think I live there, well my husband thinks I do. It is great! What a great pattern. Thanks for the chance to win it. I no longer have a favourite fabric store. They all seem to be closing. I am discovering on-line stores now.So far,Ladybutton Fabrics wins hands-down for service. My favorite is burkholders fabric in denver, pa. I am a follower through GFC. I like QuiltEssentials here in St. Albert, Alberta! Thanks for the chance to win. I just learned how to sew/quilt in October, so I haven't visited too many fabric stores other than JoAnn's or Hobby Lobby. But, I did like Surplus City in Pennsylvania! There are only two real life stores that I am able to go to. They are both nice and I shop there enough. My favourite though in Intrepid Thread on-line. My favourite fabric store is without doubt the Fat Quarter Shop :) Thanks for the chance to win! That is a beautiful pattern, especially with the colors that you chose. My favorite store is JEllen's House of Fabrics in Lyndhurst, Ohio. I only get there when I visit my mother but it's well with worth the trip. I love Shabby Fabrics online. Thanks for the great giveaway! Merry Christmas! What a beautiful pattern and quilt! My favorite quilt store is Expressions in Thread in Iowa! Absolutely beautiful! I hope I win. My favorite is Olive Juice in Onalaska WI. Thanks for the chance to win! I wonder how big that quilt pattern is. I'll bet it would look great on my round diningroom table. In Tokyo I go to different stores for different things. Yuzawa-ya has fabrics and crafts and a members card gets me a discount. There are branches all over. A store in the wholesale district has a great variety of cut pieces and good Japanese fabrics as well as expensive imports. There are three or four sections of the store in one area and it is called TOMATO. I have no idea why that name. My favorite is Loving Stitches in Fayetteville, NC. Thanks for the giveaway. I'm a new follower. Thanks again. My favourite local fabric store is Quilt et Textilkunst in Munich, Germany. It's a lovely quilt shoppe. I shop mostly online, however, because our shop doesn't have the new fabric collections, they're round here about 1 year later only. - no bricks and mortar shops near me! My favorite is Quilter's Studio because it has fabrics, but also a lot of art quilt supplies. It is in Newbury Park, CA. My favorite fabric store is Linderella's in Southern Pines, NC. My favorite fabric store is Over the Rainbow on Camano Island in WA. It is mostly an internet business, but Laura has started having a drop in day on the first Saturday of each month. Fabulous selection and great prices! Jackman's Fabrics in St. Louis, Missouri. Hello from Minnesota! New follower here. My favorite LQS is Sewtropolis in south Minneapolis, MN. They are hip, modern, and super cute and they host the Minneapolis Modern Quilt Guild meetings. Memory's By the Yard, San Antonio, TX. Thank you for the giveaway. That would have to be Joanne's in Sonora, CA. We were so lucky to have them come to Sonora. They tried once before but closed down their doors. Now they are bigger and are back again. Thank you for the chance to win the Desert Rose Pattern. My mom has a collection of dishes from Desert Rose. Hope you have a Merry Chritmas. See... they are great aren't they? My favorite store is the Calico Cottage, their an online store. Just became a new follower. Since there aren't many quilting stores in my locality, I like the Quilting Bee, Fenwick On for most of my need to buy fabrics. Thanks for the giveaway. Not a lot to choose from here in my lil town. I choose JoAnns Fabrics because they have great sales. I'm all for discounts in fabrics. Wow that is beautiful. Thanks for the great giveaway. My favorite fabric store(s) are in Omaha NE about an hour from me. I have found 5 so far!! Woo Hoo my own personal shop hop. I live in rural France so quilt shops are few and far, my favourite shop is Fat Quarter Shop. The Fabric Cupboard is a local shop here in New Brunswick, Canada..the best shop ever!! I LOVE all fabric stores...but I will always go into JoAnn's with a discount coupon! Hmmm, I'm a little bit of a newbie and I guess I can say my favorite fabric store is the internet. I seem to win a decent amount of fabric online and haven't had to buy any in over 6 months. What a beautiful pattern! My favourite store is Mad About Patchwork. Thanks for the giveaway! My favorite is Pink Castle Fabrics (online) although I do try to patronize The Stitch Witch in Cobourg regularly too. My favorite quilt shop is Keepsake Quilting in Center Harbor, NH. It's always a treat to visit! Gorgeous pattern. My favourite store is my LQS - Periwinkle fabrics. Thanks for the opportunity on a wonderful draw and have a very merry Christmas. My favorite quilt store is The Quilt Patch in Tecumseh, MI! 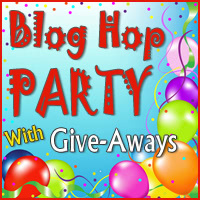 Thanks for being in this fun blog hop. Merry Christmas. My favorite fabric store is "Fabric Depot" in Portland, Oregon. It is huge. My favourite shop is Embsay Crafts North Yorkshire UK, I only get the chance to shop there when I visit family. That is beautiful!! Thanks for the chance to win such a great pattern. My favourite shop is online at overrainbow.com, Over the Rainbow in Camano Island WA. I'm a follower. Thanks for the giveaway. The pattern is beautiful. Thank you for a chance to enter your giveaway. I am now following your blog. Am a new follower:) Thanks! Thank you for the chance to win that lovely pattern! My fav quilt shop is the one closest to me--Guthries Fabrics in Colcord, OK.
What a beautiful pattern!! I would love to make that :) I am housebound pretty much so I order online and I love fat quarter shop. Not only for their wonderful fabrics and great customer support but for all the fabric they give to so many giveaways and contests they sponsor. Hi Barbara! I thought I had already commented on this post, but I can't find my name...so I'll comment again. My favorite store is Patchwork Plus in VA....love all the selections! I follow you via RSS feed. I don't drive so I usually shop on line. It is hard not to touch the fabrics. THanks for being part of the hop. I love Fabric.com to buy fabric. What a beautiful pattern! My favorite quilt store is Quilter's Corner in Sacramento, Ca. My favorite quilting store is Folktales in Lynden, Washington. I feel so good every time I walk through the door. My local fave shop is Faeries in my Garden, Shorncliffe,QLD, Australia. 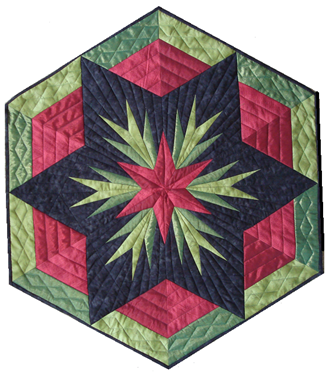 If ordering online, fave is Keepsake Quilting in USA. My favorite quilting store is Patches, in St. Charles, Missouri. I am a new follower by GFC. No quilt shops in my area so it's all online for me. Lately, lark cottons and the dry goods shop have had some good finds. I buy the majority of my fabric online. The Fat Quarter Shop always has the best selection,, and I look on Esty also. Thanks for the give away! I like online fabric stores and Fat Quarter shop is one of my favorite. We have a discount store right down the road. It's fun to poke in to build my stash, but not so much when I am looking for something in particular...then I generally come online and see what I can find. It's online at http://wantitneeditquilt.com.au/ though Jane is Australian! Love your pattern!! My favorite store is the fat quarter shop.com! I am a new follower. Recien empiezo trabajo de patch y adquiero mis telas a nivel local con mis maestras. Hoy recien tuve contacto con este hermoso bloque y me gustaria poder tener el patron o tutorial. This is beautiful. My favorite store is Burkholder's in Denver PA. I live out west where distances are far to fabric shops, thus my favorite shop is online. It is www.superiorthreads.com located in St. George, Utah. I have come across this stunning quilt by way of Pinterest. But I have searched everywhere online to find the pattern with no success. Do you sell the pattern? Or do you know where I can find it? Thank you so much. My favourite quilt store is Limerick Quilt Shop, Park Road Limerick, Ireland. Its such a pleasure to visit there. Can someone please tell me where I can purchase the Desert Rose tree skirt pattern? Thank you! Hi, Cowslip Workshops, Newhouse Farm, Launceston, Cornwall, UK. Jo the owner has created a beautiful shop, clapboard style classroom, and a new oak barn where a team make great food. The walls are used as a gallery. Surrounding this is the lovely bird friendly garden her working farmer husband made. He then made a kitchen garden too, everything he touches grows. On the opposite hillside is the Norman castle guarding the entrance to Cornwall. If you visit the UK don't miss it, little piece of heaven. Love, Love your beautiful quilts!!! JoAnns in Brunswick. GA, or Savannah, GA is my fabric store. I'm your new follower. I've got your pattern for "Twirling Swirling Dance", not sure if I'll have time to get it done for a Christmas present, if not then soon! My favorite fabric store is My Sewing Room in Calgary Alberta Canada. I have emailed you to see if the pattern for this beautiful quilt is still available. Thanks. I have 3 favorites. I love Ft. Worth fabric co. In TX for their prices and fabrics, I love Missouri Star Quilt co and Jordan Fabrics for all the great tutorials they give away, both Jenny Dian and Donna Jordan make things look easy and they are very generous.